The York Rite is a confederation of degree systems consisting of the Royal Arch Chapter, Cryptic Rite Council, and the Commandery of Knights Templar. 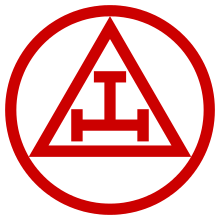 As practiced in Utah, it is sometimes referred to as the American Rite of Masonry. The name derives from an ancient Operative legend that Masonry came to England through the beneficence of Athelstan, at York. Consisting of degrees elsewhere consider fundamental and mandatory to Masonic experience, the Capitular Degrees, compliment the fellowcraft degree, confer the secrets of the Chair, and complete the Master Mason Degree through the restoration of the Master’s Word. Historians have traced the origins of this Degree to 17th century Ireland and in England in 18th. 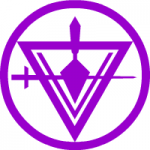 Emerging from deep with the Order of the Royal Secret (a precursor to the Ancient and Accepted Scottish Rite) , the Cryptic Rite’s place in Freemasonry comes from the profoundness of it’s philosophy and the strength of it’s allegorical lessons. Ancient Cryptic Masonry centers around the story of the preservation and eventual loss of the Master’s Word. The Word represents man’s search for life’s purpose and the nature of Deity. Symbolic Freemasonry, as in the Lodge, teaches of the loss of the Word and hope for its recovery. Royal Arch Masonry, as in the Chapter, teaches its recovery. Cryptic Masonry, teaches the Word’s initial preservation. 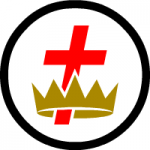 Proudly bearing the title of those whose valiant character and Christian virtues we emulate, the Orders of Chivalirc Masonry consist of the Order of Malta, the order of the Red Cross, and the Order of the Temple, i.e the Knights Templar. While bearing no direct lineage to those fabled Knights, we preserve the traditions of Chivalric Masonry entrusted to us, and by mutual reinforcement pledge our lives and our mutual honor to each other and our Brothers to be pillars of virture against the forces of oppression upon those incapable of defending themselves.